Savvy HR directors understand that social media lies at the epicenter of modern hiring, particularly when it comes to hiring candidates from the Millennial generation. The candidates who want a job in your company are likely connected to each type of social media platform, mining each one for the perfect job in the currently candidate-driven job market. It is critical that you meet those candidates where they are performing the bulk of their job search, and the right Applicant Tracking System (ATS) software can help you do just that. For social media integration to truly reach your audience, however, you must place a special emphasis on “integration.” It is difficult to know whether your ideal candidate is a LinkedIn aficionado, a Twitter whiz or a Facebook devotee. With social media integration, you can reach that special someone on every platform. How Can ATS Boost Your Social Media Integration? 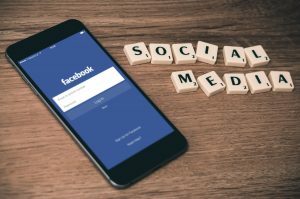 Understanding the need for social media integration and implementing an effective strategy for social media integration are two very different things, which is why ATS have become a social media lifesaver for busy HR teams. ATS can help you share jobs on each of the various social media and will subsequently help you track the rate and quality of responses you receive per platform and post. ATS allows you to host interviews over some of the most popular social media channels. ATS ensures that social tools are accessible to all team members involved with the hiring process. ATS makes the application process easier for all candidates across all social media platforms. If you struggle to navigate each social media platform—occasionally missing posting a key position on one—you are not alone. ATS can help you reach as many talented candidates as possible.